Jabra headsets for Skype for Business are Microsoft-certified solutions for hands-free unified communications. 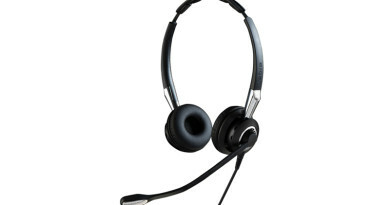 Enterprise headsets have different requirements from consumer headsets. Sound quality with business headsets is geared towards clarity of speech, because they’re used primarily for communication. 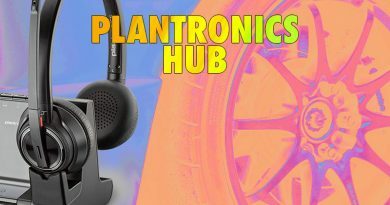 You’d never, for example, see a monaural consumer headset, yet in the workplace, where you need to be aware of your surroundings and talking with people, mono headsets are common. Enterprise headsets also have controls that integrate with the VoIP and UC platforms that workers are using. Jabra is one of the world’s foremost manufacturers of enterprise headsets. 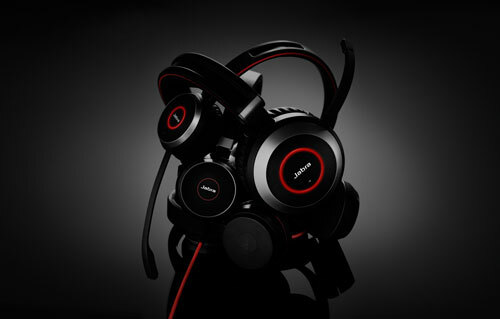 Their headsets are designed for how headsets are actually used in the office, which means they produce a number of types of headsets for different use-cases. In this blog, we’re going to walk you through three options from Jabra that have been designed and tested for different situations with Microsoft’s popular Skype for Business unified communications platform. 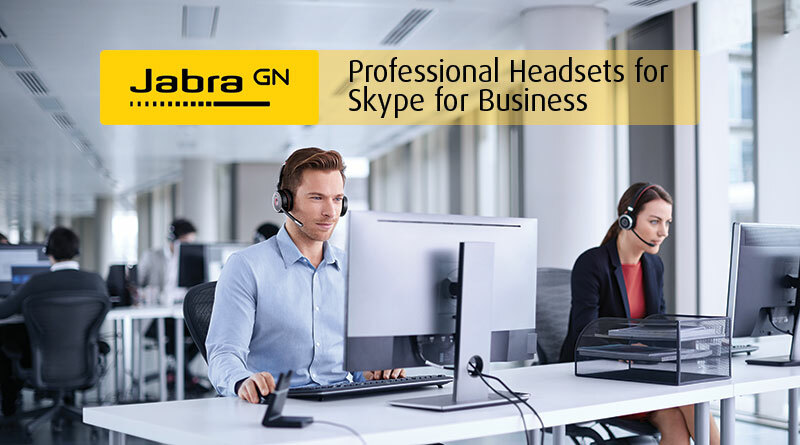 Jabra produces versions of their headsets that have been tested and certified by Microsoft to work seamlessly with Skype for Business. 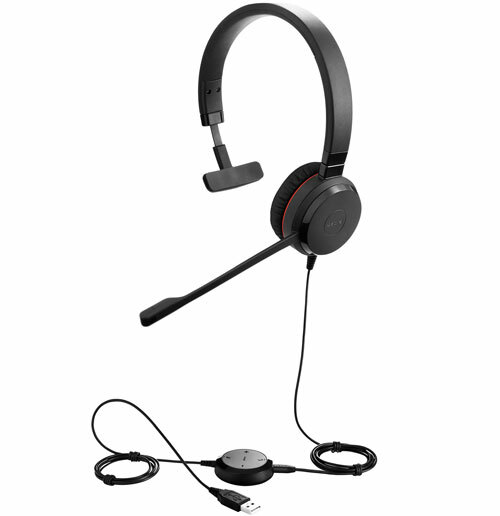 Jabra Evolve 30 II is an everyday headset for the traditional office or call-center that offers reliability and comfort. Jabra Evolve 75 is designed for the open office or even outdoor usage. Jabra Motion UC gives you professional communications on the go. Jabra Evolve 30 II MS is a wired headset for everyday usage. It features dual connectivity, USB and 3.5mm, so you can plug into computers and mobile devices with headphone jacks alike. Evolve 30 is a work-horse headset, simple to manage with long-lasting functionality. 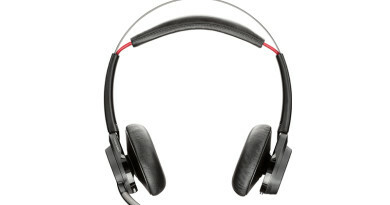 The headphone provides wideband audio and the noise-cancelling microphone greatly reduces background noise. Because it’s been certified to work with Skype for Business, the in-line controls give you perfect call-control when using Microsoft’s platform. Many companies are now thinking about using softphones as a telephony solution. A softphone is when your telephone is software running on a computer. 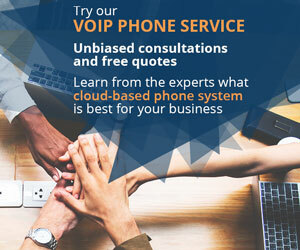 You don’t have a separate telephone unit. But if you’ve ever tried using the built-in microphone and speakers of even a top-end PC or Mac, you know that the sound quality leaves a lot to be desired. With Jabra Evolve 30, you get the simplest softphone solution: wideband speaker, noise-cancelling microphone, in-line call control, plug-and-play set-up. For using Skype for Business at the desk every day, try Jabra Evolve 30 II MS. It comes in both mono and stereo models. Workplace collaboration is all the rage today, and for good reason: we are all smarter, better workers when we collaborate. That said, sometimes you need to shut out the office and focus on the task at hand. Jabra Evolve 75 MS Duo is the perfect headset for workplace focus. In fact, it’s the first certified Skype for Business headset that meets Open Office & Outdoor requirements. How is Jabra Evolve 75 designed for the open office? Evolve 75 features on-the-ear headphones with leather-feel ear cushions that are comfortable enough for all-day wearing, but which more importantly help block out noise. Jabra’s class-leading Active Noise Cancellation technology does even more to make sure you aren’t disturbed. An integrated busylight gives co-workers a visual indication of when you’re on a call or when you’re focusing. But a professional headset also needs to be used in the office. So Jabra has also designed the Evolve 75 headphones with Listen-in technology. A single tap of a button on the headset, and you can hear your surroundings. No need to take off your headset at all! Which is great, because the Evolve 75 features dual wireless connectivity using Bluetooth. You can connect to two devices at once, so you can be connected to your PC and your smartphone without clumsy switching between devices. Bluetooth gives you all the cordless freedom you deserve. 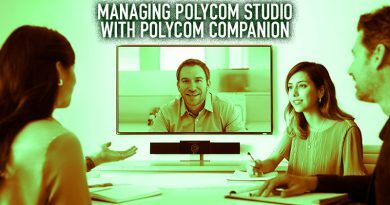 Because Evolve 75 has been tested and certified with Skype for Business, you know that integration will be seamless and the call-control buttons will perform their functions without a hitch. For using Skype for Business in the open office, try Jabra Evolve 75 MS.
Jabra Motion UC MS is a classy over-the-ear Bluetooth headset that integrates seamlessly with Skype for Business, giving you unified communications wherever you go. Skype for Business is exceptional because it allows you to have secure, rich business communications across all your devices from anywhere. That kind of flexibility is great, but it also places a heavy demand on a headset, which traditionally have been designed for use at the desk. But today, we want professional communications everywhere. So how does Jabra design for this use-case? Jabra Motion UC connects to whatever device you’re using. It comes with a tiny USB adapter that you can plug into a PC or Mac, which gives you a stable connection. You can connect to mobile devices using Bluetooth with a wander range of up to 300 feet. If your device supports it, you can even connect using NFC: a single tap and you’re connected. Importantly, you can connect to multiple devices at once, reducing hassle dramatically. And Jabra has even built in voice guidance technology that tells through the headset how to connect, who’s calling, and your battery status. Though with an 8-hour battery life and Power Nap technology for saving a charge when not in use, you might not ever need the battery status updates. Jabra Motion has Wind Noise Protection for outdoor use, Noise Blackout for reducing background noise even more, PeakStop for protecting your ear from sudden, loud noises, and Intelligent Volume Control for automatically adapting sound to your surroundings. Wherever you go, you’ll have professional audio. 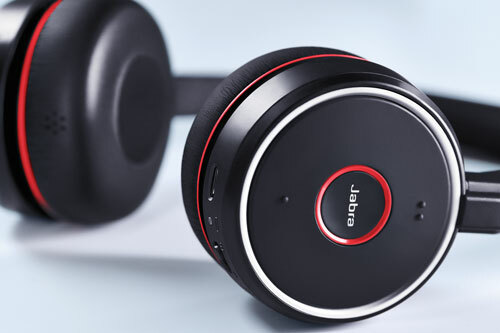 For using Skype for Business on the go, try Jabra Motion UC MS.